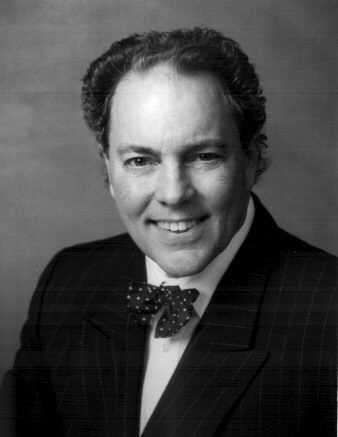 My friend and colleague James H. Harris III was recently certified as a Civil Trial Specialist by the Tennessee Commission on Continuing Legal Education and Specialization. Just over 300 Tennessee attorneys have completed the rigorous certification process established and required by the Tennessee Supreme Court. To be certified, Tennessee attorneys must met certain requirements, including a certain number of years of experience in their particular field of certification, demonstration of special education, passage of an examination, and recommendation from other judges and attorneys. Tennessee attorneys are not required to be certified in a particular field in order to practice in that area, and in fact Tennessee does not have a certification process for every area of legal practice (entertainment law, for example, is excluded). Currently, certification is only offered in the areas of Civil Trial, Criminal Trial, Bankruptcy, Malpractice, Elder Law, Estate Planning, Family Law and a few other areas. Another member of my association, Gail Bradford, is certified in the area of Estate Planning. Kris Kristofferson and Fred Foster once penned one of my favorite lyrics in the song Me and Bobby McGee, i.e., “freedom’s just another word for nothing left to lose.” The sentiment is perhaps appropriate for the ongoing war that is being waged against copyright laws as we know them. 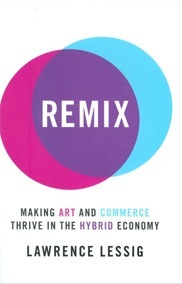 The latest battle in this war was fired by the esteemed Lawrence Lessig, famous lawyer and copyright scholar, in his new book Remix: Making Art & Commerce Thrive in the Hybrid Economy. The main goal of the book is the demolishment of existing copyright laws, which Lessig has described as Byzantine. He believes our current copyright laws are futile, costly and culturally stifling. The "hybrid economy" is described by Lessig as one in which a “sharing economy” coexists with a “commercial economy.” See this very humorous interview by Stephen Colbert. He gives examples such as YouTube, Flikr and Wikipedia, which rely on user-generated "remixes" of information, images and sound to illustrate his point. This “hybrid economy,” in Lessig-speak, is identical to what he calls a "Read/Write (RW)" culture — as opposed to "Read/Only (RO)" — i.e., a culture in which consumers are allowed to "create art as readily as they consume it." Thus, the “remix” to which he refers is the concept of taking another persons copyrighted work and “making something new” or “building on top of it.” This is what us less-published copyright lawyers like to refer to as a derivative work! And that is the crux of Lessig’s problem: the copyright law DOES in fact make provision for this type of creative endeavor, provided that the creator of the derivative work gains the permission of the copyright owner. This is that with which Lessig seeks to do away. In the Colbert interview, Lessig drolly points out that 70% of our kids are sharing files illegally and that the “outdated” copyright laws are “turning them in to criminals.” This reminds me just a bit of what my Daddy used to tell me: just because everybody’s doing it doesn’t make it right! Or, as Colbert blithely responded, “isn’t that like saying arson laws are turning our kids into arsonists?” The obvious conclusion is that perhaps the law is simply not the problem. Colbert then comically crosses out Lessig’s name on the cover of his his advance copy of Lessig’s book, draws a picture of Snoopy inside, and then questions Lessig as to whether the book was now his (Colber’t’s) work of art, to which Lessig says “that’s great,” we “jointly” own the copyright. That’s a point to which Lessig’s publisher, Penguin Press, would surely not acquiesce. In the final retort to Lessig, Colbert makes the point that he likes the current system, and I quote, “the system works for me.” I might add that the system seems to be working extremely well for Lawrence Lessig as well. Lessig is making a fortune exploiting the very system he criticizes as antiquated – the very essence of free speech, I suppose, but in the final analysis, a bit disingenuous. While I do admire Professor Lessig for working toward a solution to a perceived problem, it’s very difficult to believe that tearing down the entire system of copyright laws in order to accommodate a large percentage of prepubescent teenagers who are too cheap to pay for their music is the appropriately measured response we need in this instance. Call me crazy.